Dr. Ngozi Wexler is a graduate of The George Washington University where she attained her Bachelor of Science, Master of Public Health Administration and Medical Degree. She has 16 years experience in OBGYN, 12 of which were active duty in the US Air Force where she attained the rank of Lieutenant Colonel. She is currently in the Air Force Reserves. Dr. Wexler brings expertise in minimally invasive gynecological surgery including robotic surgery, pelvic pain, abnormal uterine bleeding and fibroids, pelvic organ prolapse, vulvar pain and female sexual dysfunction. She recently co- authored a committee opinion on vulvar pain on behalf of the American Congress of Obstetrics and gynecology' committee on gynecologic practice. She is actively involved in the national society of OBGYN hospitalists where she serves as a board member and simulation committee member. Prior to joining Medstar Montgomery Medical Center, she practiced at Medstar Southern Maryland Hospital Center where she had a busy minimally invasive gynecology practice. 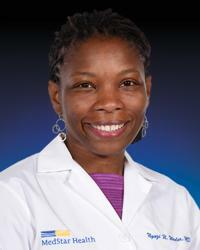 She also served as Medical Director of the OBGYN Hospitalist Program at Medstar Southern Maryland Hospital Center. She managed a large group of OBGYN Hospitalists who provided first class OBGYN care in a compassionate manner, making patients feel at home even when their private OBGYN was not available.